Place the aquafaba in a mixing bowl and blend with a hand blender for 6 to 7 minutes until the consistency of whipped cream. Pour the cooled soymilk into the aquafaba and gently mix by hand until thoroughly blended. Pour into dessert cups and refrigerate for at least 1 hour to set. To prepare the cherry sauce, place cherries, cherry juice, maple syrup and pinch of salt in a small saucepan. Bring to a boil. Dissolve the kuzu and add to the cherries, stirring constantly until thick. Remove from the heat. 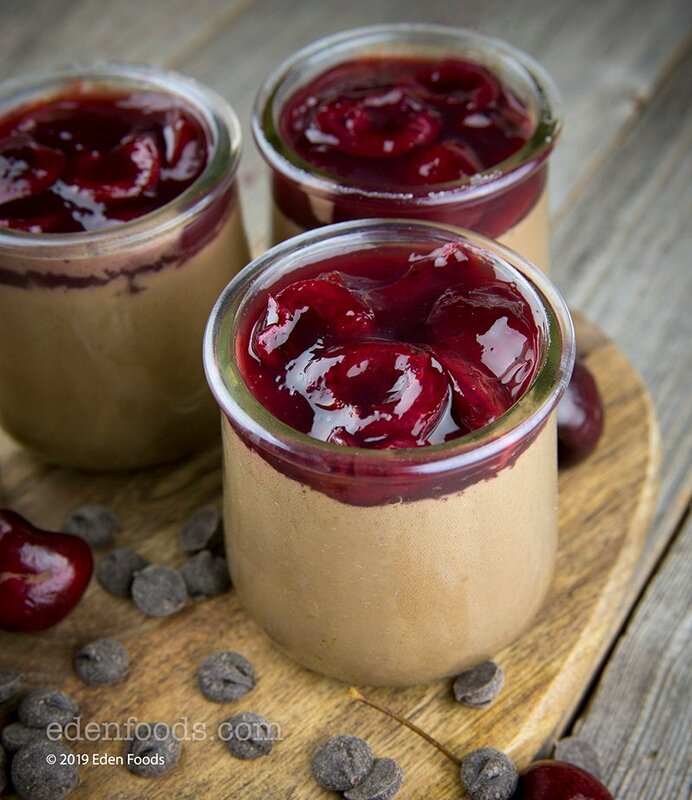 When the mousse is set, pour the cherry sauce over and refrigerate for 30 minutes longer. Remove and serve.